What is the best sewing machine for the money? It depends on what your budget is. You see, sewing machines can easily be found for under $200 and they can also cost upwards of $1000. 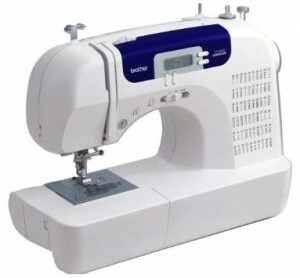 We will show you what we think is the best sewing machine in different price ranges. These are the machines that can be considered the best sewing machine for the money – for the amount that your want to spend! This is a popular price range for beginners and experienced sewing enthusiasts alike. Many do not want to spend more than $100 on a sewing machine. There are quite a few good picks in this category but we like one particular model over the rest. 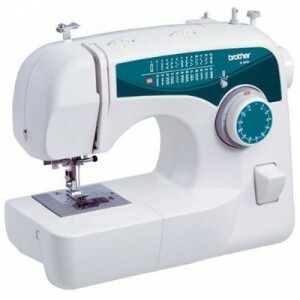 Our recommendation in this category is the Brother XL2600I sewing machine. Why do we like this one? To start with, it has a lot of features that make it easy to use. Stuff like simple needing threading, a built-in thread cutter, auto bobbin winding and more. It has 25 built in stitches and also comes with many accessories, all stored inside the machine. Some people that buy this model complain about thread looping, but this is more of a user-error issues in regards to making sure that the thread is run properly through the tension adjusting spring. This is explained in the manual so if you are new to sewing it would be best to fully understand this machine before trying to use it. Others say that it’s not powerful enough for really thick fabrics. But hey, it’s a budget sewing machine, any machine under $100 is going to have some limitations. Overall, this is a great machine for this price, and you will be hard pressed to find a better deal on a brand new sewing machine in this category. For between $100-$200 you can get a very excellent machine, and you won’t have to get a bare bones model either. We reviewed many that we really liked, but the one that stands out in this price range is the Brother CS6000I sewing machine. Why do we feel this is the best sewing machine in this price range? To start with, it offers computerized stitch selection with 60 built-in stitches. It can be used for crafting, quilting, home decorating or garments. It’s very flexible. The Brother CS6000I is also a very reliable machine. People that buy this sewing machine are very happy with the quality and reliability. It also comes with pretty much every accessory you can think of, including a seam ripper, a screwdriver, extra bobbins, a needle set, extra spool pins and much more. You won’t need to purchase any extra accessories because it all comes with this machine. Read more about the Brother CS6000I here. This next price range offers many full-featured models. For between $200-$400 you will be able to find many well-built machines with a wide array of features. What’s our top pick for best sewing machine in this category? The Janome 7330 Magnolia. This machine is very well built. 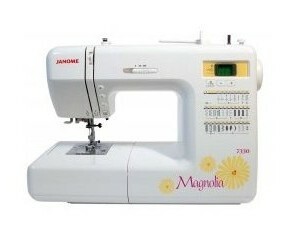 It is reliable, sturdy and offers a smooth and satisfying sewing experience. People that own this machine love it! A few comments we found were from people that had bought this machine and compared it to other machines that were less than $200. They said that this machine offers a hassle-free experience and it just works, and works well, and feels much more sturdy and powerful than cheaper models. Another word commonly used to describe this machine is “workhorse”. This sewing machine boasts many useful features such as an automatic needle threader, an LED screen to select stitches, a free-arm feature, a drop feed system, precision tension control and more. And to top it off all the features work great! None are implemented poorly. If you have never heard of Janome (or even if you have), and want to get a sewing machine in this price range, we recommend that you give the Janome 7330 Magnolia very close look before making any decisions.